The Team — Durham Spirits Co.
Katie, a South Carolina native, has spent the last ten years cooking all over the world, including France, Italy, and most recently, Seattle, WA. She has worked in 4 Star restaurants, including the Ritz Carlton, and has had the privilege of cooking for Anthony Bourdain twice. Katie also teaches classes at A Southern Season, and is also a Certified Executive Chef from the American Culinary Federation. 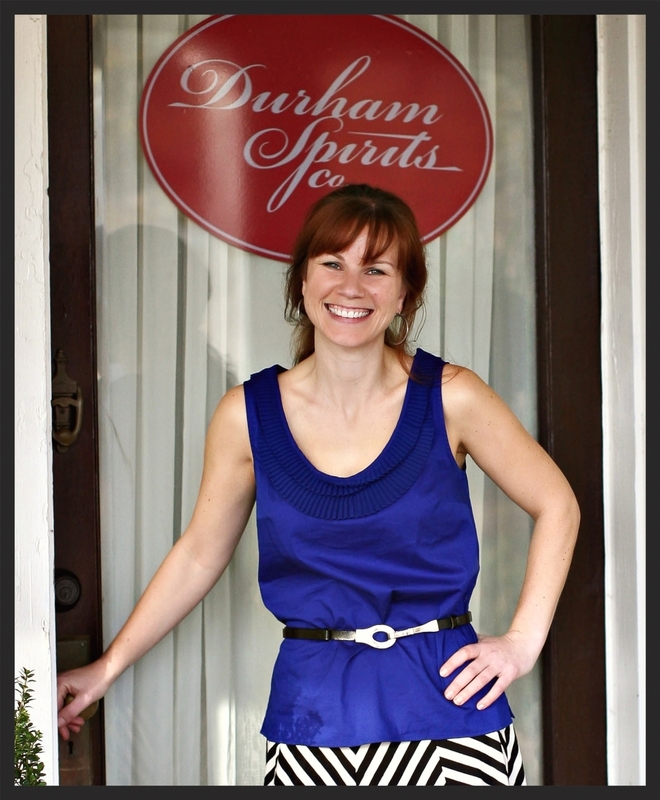 Clearly, because of her love of everything food and bourbon, Durham Spirits Co. has been a dream in the making for several years. Katie is a graduate of the Culinary Institute of America in Hyde Park, NY and also has a Bachelor's of Arts from the College of Charleston. Special Thanks: This venture could not be done alone! There are dozens of people to thank, including my "Dirty D" girls, who graciously volunteered their various skills, including web design, event planning, and taste testing; the community, and their outpouring of support; my regulars, who know that we are building the community one great meal at a time; Jessica Arden Photography; and mostly importantly my family, who have offered unconditional and unending support. Hailing from Portland OR, Audra graduated from the Le Cordon Bleu Patisserie and Baking program in 2007. She has since held positions such as pastry sous chef at the historic Heathman Hotel, bakery manager at Baker & Spice Bakery, and is currently the head baker for Joe Van Gogh right here in Durham. Upon relocating to Durham in 2015, Audra established Honeybuns Baking Co. as a fun and creative platform from which to share her love of all things pastry! When her fingers are not in flour and sugar, Audra can be found out and about with her fabulous pit bull Polly. Officially founded in January of 2011 by Katie Coleman, DSC is now proud to be serving the Durham area and its awesome natives in the form of hands-on culinary classes and other professional consulting services. It is more than safe to say that we are obsessed with EVERYTHING food and drink! Through teaching and consulting we get to use our creativity and share our passion with the world...better yet, DURHAM...and there's nothing that makes us happier. We are a small business supporting other local small businesses and farms, and as a part of the slow food movement, we eat and prepare our food locally and seasonally. Our goal is to enrich and liven our community by bringing together new and old friends to eat and drink the best of what our area has to offer!